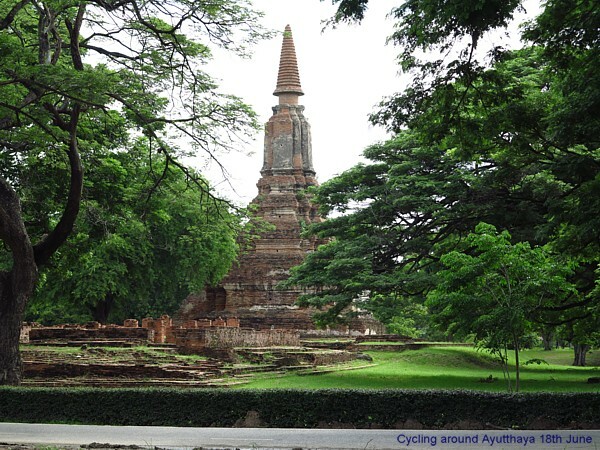 I took the train to Ayutthaya again, but the usual bicycle rental place was closed. I took the 10 Baht ferry ride across the river and rented a ten speed bicycle for 50 Baht to ride for eleven miles or so. 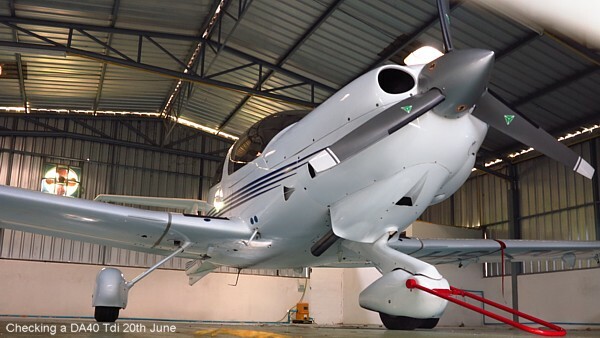 This DA40 Tdi with an uprated 155bhp Thielert engine is for sale, but someone broke the passenger door. 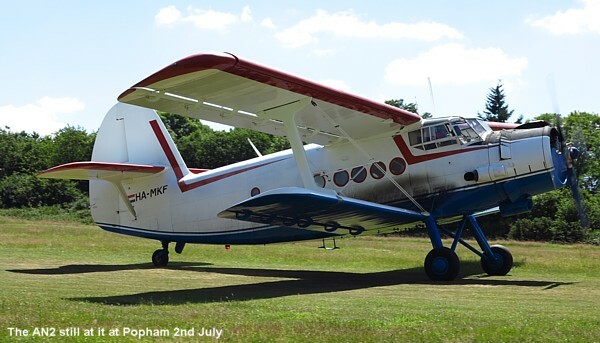 The company considered buying this aeroplane but it's condition meant it wasn't worth the money asked. 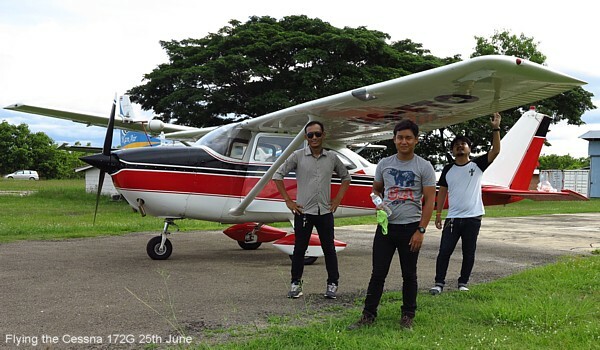 I once again took Thai Lion Air up to Chiang Mai and back to go and do some flying in the Cessna 172G at Nok. 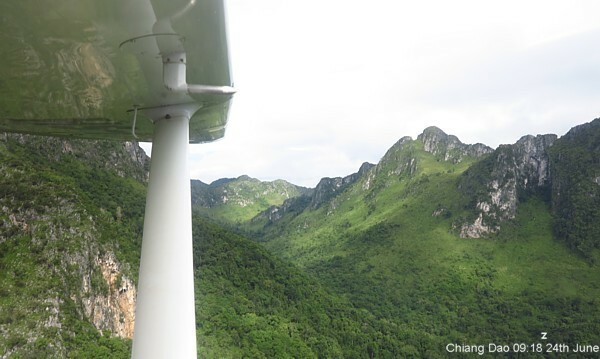 We did a total of five hours flying, local airwork flights, a flight around Chiang Dao, and even a low approach and go around at Mae Sariang experiencing the high level flight there, and the lower level route back along the 108 road through the mountains. 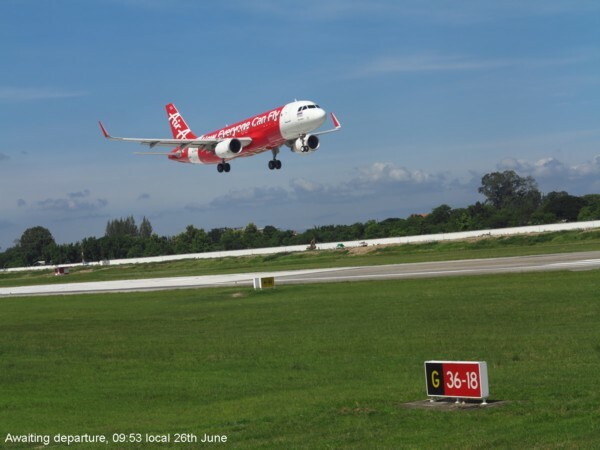 Air Asia flies over the displaced threshold. The glideslope is out of action while work is in progress near the runway threshold and so the minimums are higher. I flew in a Thai Boeing 777 to London on my birthday. Paul Sengupta picked me up from a rainy London Heathrow and we drove to Burnham near Slough for Indian food. 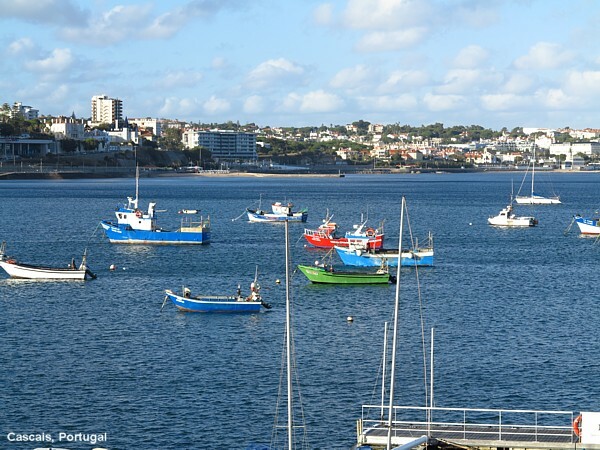 The point of this trip was to go and inspect a Cessna 172S for sale at Cascais Airport near Lisbon and so the next morning Paul dropped me off at Woking railway station to catch the 08:45 Rail-Air Coach to Heathrow. I went in and bought the £10.50 ticket from the machine in the station. I waited for the bus, but at 09:15 it had not yet arrived and several people including me were nervous about making their flights... I asked one of the (minivan) taxi drivers how much it would be; he could take six passengers for £50. I easily got five other passengers together to share a cab. The cost became £60 as one passenger wanted Terminal 4, and so for £10 each we made it to the airport. Later I would try to get a refund for the £10.50 ticket I'd bought, but the rules were that it would cost £10 to do this leaving a refund of 50 pence! Breakfast at Heathrow is not as expensive as many airports including Don Muang here in less expensive Thailand. The porridge was so good in Terminal 2 at Heathrow I had it a second time before leaving for Bangkok on Tuesday. It had banana, cinnamon, and raisins. I enjoyed the safety video on TAP. It uses both the Douglas DC3 and DC6, and flight attendants in past uniform styles to give the safety briefing. The DC3 morphed into the Airbus 330 while leaving its shadow below. It was nicely done. Enroute a sandwich was given together with a hand grenade bottle of fresh Portuguese fruit juice. The lady next to me was originally from Ghana and was returning there to look after a couple of housing projects she had. She was living in Leicester with her husband and three sons. Coincidently I was born there. She was terrified of heights, and sitting in the window seat. The approach into Lisbon was bumpy. The broker selling the Cessna 172 on behalf of the aero club, Daniel, picked me up from the airport and drove me to the Cascais Airport to see the aeroplane. The 172S had not flown for two years. The maintenance company had it for a long time for the usual reason (money please). Looking at the books it had flown less than 100 hours a year, while the Cessna 172R had flown around 300 hours per year. This due to the different hire rate no doubt. 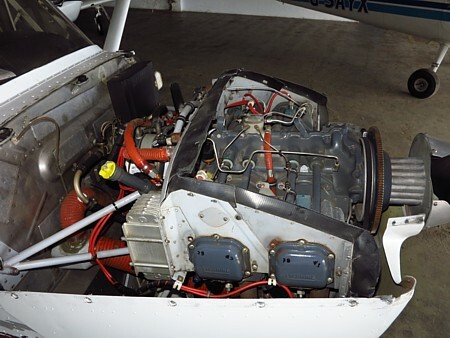 The club decided it would sell the Cessna 172R instead of their prized but unloved Cessna 172S, and so I did a full inspection of it as well. Typical of an aeroplane being flown regularly there were fewer snags, all the avionics were operational, but the KAP140 autopilot was disconnected. We decided on prices, and met in the middle. The price paid was what the aeroplane was worth, not a cheap deal, not an expensive one, but one which I hope keeps good will between the parties. I stayed at the Hotel Lido in Estoril, it was $297 for three nights including breakfast. The breakfast was very good, and I could survive the whole day on it! I was dropped off at around 5pm the first day in Portugal, and as usual I dumped my stuff in the room and went for an exploratory walk. The sea front promenade is like Dawlish with the railway line beside it. I walked west, thinking about eating... I can walk for miles like this and never decide what I want to eat! It's easier when I am responsible for someone else, it's easy to make a decision to feed someone else as well. The solitary life keeps you slim. I went as far as the Citadel and then turned around. 'Decided to see if my new Bangkok Bank Debit Card would give me some money, and it did, so I spent my first Euros ever on a Magnum Classic ice cream which would be my supper. On the way back up the hill I went into a local bar and had a bottle of local Sagres beer. I am not a connoisseur of lager beers, they taste much the same, and are only palatable when they are freezing cold. So I can't tell you whether it's a good beer or not. The next morning Daniel picked me up and we went for coffee beside the sea where the picture above was taken. He works at an engine overhaul company and so we went to the shop before going to the airport to continue my inspection of the aircraft and documents. The amiable club President treated me to a buffet lunch at the airport cafe. In the evening I went down to the station and got on to a train immediately to go into Lisbon itself. I was told I could buy a ticket on the train as I did not see a ticket office at the Estoril station... This was not true, I suppose I should have looked for a ticket machine, but the train arrived at the same time as me so I got on. I got off at another station, went into the ticket office and bought a 1.80 Euro ticket the rest of the way. Just as well I did as there are gates at the main station that require the input of a valid ticket. It was an enjoyable walk up and up and up the hill and around the streets of Lisbon. Again I couldn't decide what to eat and so I didn't bother, just take in the view, enjoy observing the people, and take many pictures. One day I will upload pictures to a server for you to see aside from the limitations of this website, but that will have to wait until I have better internet access. Lisbon is a charming place, well worth a longer trip sometime. The negative is the amount of graffitti sprayed everywhere, it's a serious problem in Lisbon. I finished my walking in a market with a solitary beer in among many happy people, and then paid 2.50 Euros for the train ticket back to Estoril. It takes about 35 minutes. Day three was deal completion and lunch with a executive from Seven Air who is interested in collaborations throughout the World. They train a lot of foreign pilots in Cascais with two major schools operating aircraft of Portuguese, British, Dutch, and German registry. I was surprised at the number of British registered aeroplanes, it's apparently easier to operate these than the full EASA registered aircraft... Roll on Brexit. It was easier to create a flying business in Britain than in regulated Canada. European regulation was even more difficult, so difficult that British registered aeroplanes are in demand. 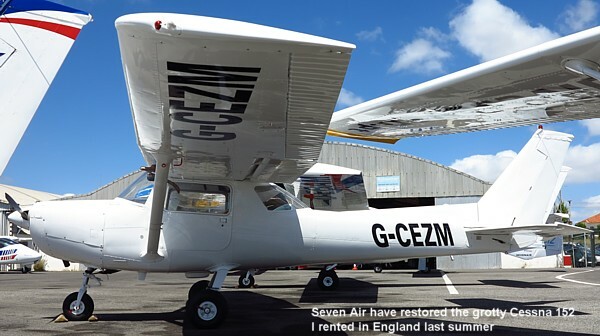 I am impressed by Seven Air, they are really going for it, using a mix of modern aircraft and vintage Cessna 152s, to supply training from PPL through to ATPL. They have Jetstream and Dornier turboprop aircraft as well. I failed to create such a flying school in Canada, it wasn't to be, some regrets here... Same with China, I really wish I could have made a difference there too. I anticipated good food in Portugal, and it was. Lunch was in a seafood restaurant, grilled fish, excellent. My evening walk was short, this time along the sea front to the east as far as Praia Da Poça and then back along the main road, stopping for one of those healthy electrolite bottled waters and I bought a tuna sandwich. 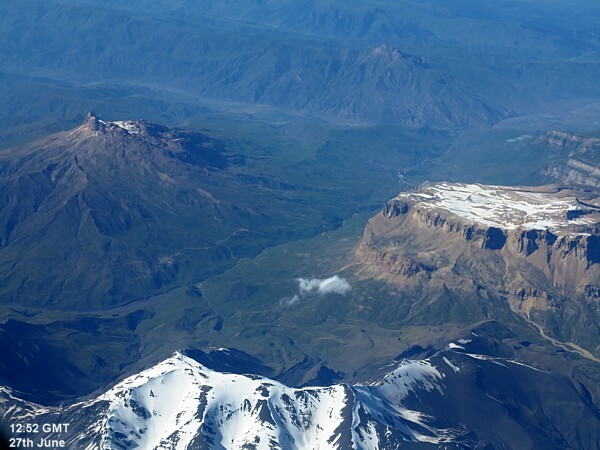 I am sorry about the lack of pictures, and the lack of tourism information. 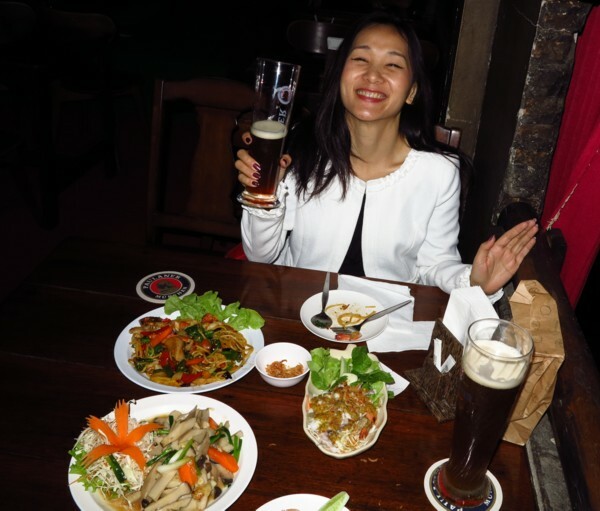 I walked a lot, saw a lot, ate little, and did not have the time to really get into the mood to do a proper tourist report. Up at 05:00 for the 50 Euro taxi ride to Lisbon Airport. I tried Uber, but here in Thailand a friend had logged me on using my email address and not my name, and so I can not use Uber because of this. I was able to change the password, but not the user name, and so I sent them an email, but there has been no resolution to the problem. On time back at Heathrow I caught a transfer bus to Avis/Budget rental cars just as it was leaving. The agent told me that the Citroen car I was renting was on line B with it's lights flashing... I got in, started the diesel and went to the exit gate... 'Should have checked the plates, it was the wrong car, mine was on line C without it's lights flashing! I had a petrol Citroen C3 with the bash proof door panels. I rented my car using my new Thai Driving Licence. First stop was White Waltham where I had their tea in a mug (not proper! ), and an excellent piece of cod for lunch. I liked this so much I had it a second time later. Next stop was in to see Walter at his house... Here I have two aluminium time capsules of my stuff stored in a container. One day I hope to retrieve this stuff. I feel so at home in England, it will be good if I eventually spend my final years here, collect all my stuff from around the World, go through it and decide what to do with it. Paul told me that there was a Katana at Popham that might be available to rent and so we both went there for breakfast in the morning. The Katana has all its paperwork but is not yet available for rent... The company has a few other aeroplanes but they didn't offer an alternative and I didn't ask. The Cessna 150 I rented at Popham a few years ago was no longer available for rent... This whole trip, in Portugal, in England, in Holland, I did not fly anything! It's been a strange experience, perhaps life is telling me my flying days are coming to an end? Disappointed I returned to White Waltham to have lunch there. 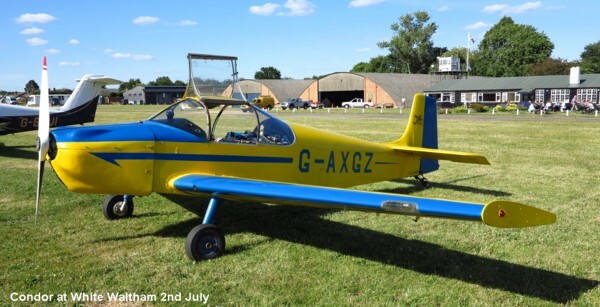 White Waltham has a great club but I noticed several groups have left there, there wasn't anything on offer to fly besides the club's aircraft, and my last visit did not leave me with the desire to ask again. Still the club's aircraft seem to be busy, and the instructors are pleasant. The bar staff were very nice, and the food was at a high standard. 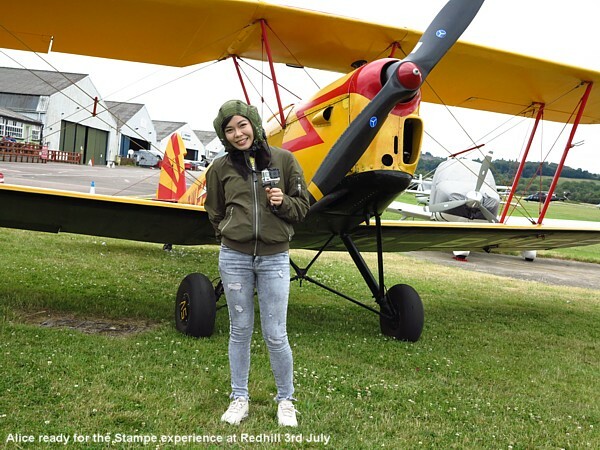 Alice turned up at Gatwick Airport and I picked her up... Of course the first stop was Redhill Aerodrome where we had breakfast at the excellent Pilot Hub. Berni was kind enough to take Alice up in a Stampe... I swung the prop. Membership in the EU means accepting onerous over rule in the European style. Britain, France, Belgium, and Switzerland were once good places to fly, while Holland and Germany were over regulated... What we never wanted was German regulation in England! So last year I could fly in England using my Canadian licence... You still can, but they must validate your licence after confirming everything with Transport Canada = time, and there's a £200 fee. This will allow you to fly for up to 28 days in a year in Britain. We went to the CAA headquaters at Gatwick to find this out. Best route for me is to do a CAA medical (£100 or so), do a flight test and English Proficiency test (£150 examiner fee plus the aircraft rental cost), and revalidate my British PPL. I can then obtain an EASA PPL. Everyone will need an EASA licence to fly certified aircraft in Britain, while a British licence is still alright for Permit aircraft such as homebuilts and types no longer supported by manufacturer's (for ADs etc). It's a huge disappointment to me as I held Britain as being a place of freedom and decency in this regulated World. The people at Cubair were keen to help me renew my British PPL, but in the short time I had I did not think I could do it. I need a few days to renew my British medical, the money, plenty of money, and the time for the CAA to reprocess my licence. I think they only need a change of address... And then I will have to apply for and pay for the EASA PPL licence. Of course all my years of teaching will be at an abrupt end. There is still a lot of confusion both in the CAA and outside. Apparently I could still fly using my American FAA licence, based on my Transport Canada licence that is no longer accepted... Then I was told I could still fly using my Transport Canada licence until next year. It seems that like all European bureaucracy there's a lot of confusion... Bring back the old CAA, there was a lot less nonsense. Alice's arrival meant that I gave up the spare bedroom at Paul's house in Guildford and slept on the sofa. My youngest sister Julie is visiting England from Australia. She marshalled for the Formula 1 race in Montreal, and will be at Silverstone marshalling this weekend. She drove up to Guildford to see me. Alice wanted to see London, oh no, why? 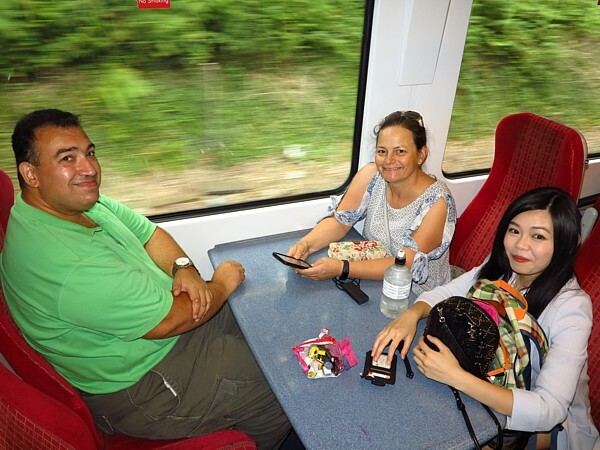 So we took the train to Waterloo. As I selected the number of tickets the machine suggested a group - off peak fare of £13.50 each for day passes which are good for trains, buses, and the underground unlimited travel. We went on a walkabout in London to see the sights.. It was good. Selfridges. 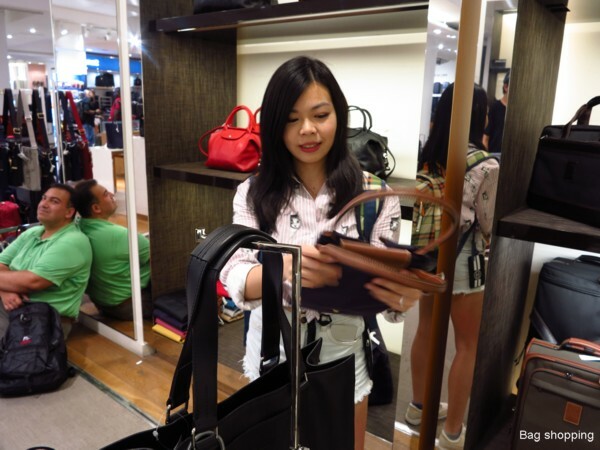 Shopping is very important but we managed to delay it to the end of the journey. Dinner in the evening was at the Parrot Inn Pub in Shalford near Guildford with Martin and Jan who are old friends. I have had to split this update into two parts, it's so long!